Netflix and Dreamworks Animation have just announced a slate of new animated collaborations set to launch next year. 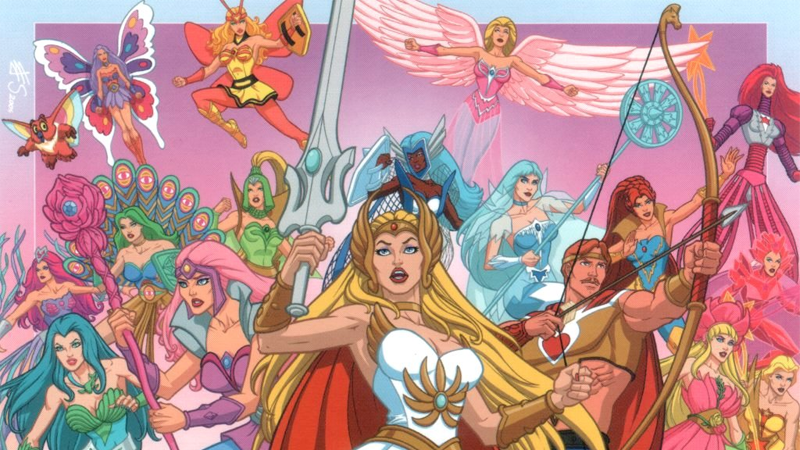 There’s some wild stuff in there, but here’s the big news: She-Ra, the legendary Princess of Power, is back in action. The trailblazing girl power icon originally debuted in 1985 to satisfy overwhelming demand for a female lead fantasy series. With Stevenson’s unique voice at the helm, fans are in store for an epic and timely tale that celebrates female friendship and empowerment, lead by a warrior princess tailor-made for today. She-Ra will be joined on Netflix by an animated continuation of Dreamworks’ Trolls movie franchise, Trolls: The Beat Goes On!, as well as a continuation of the incredibly weird Boss Baby set after the events of the first film, a new animated adaptation of Captain Underpants, a new adventure series Harvey Street Kids, and the third and final season of Guillermo Del Toro’s Trollhunters, alongside the next chapter of the Trollhunters shared universe, scifi series 3 Below. We’ll bring you more on She-Ra’s return as and when we learn it.